We’re not much for trendy desserts. With the exception of the cronut phenomenon, we’re just not going to wait in line for sweets or spend hours creating molecular, freeze-dried, gold-plated dishes. Just give us our ice cream and leave us alone, thanks. But, that doesn’t mean we’re not open to a little twist on an old favorite. When we saw high-end restaurants and food festivals coming out with booze-infused popsicles, we sat up and took notice. Then we finally tried one — and now we want them ALL. Alcoholic popsicles are, in a word, perfect. A cross between cocktail, fruit snack, and healthy dessert (well, a lot healthier than ice cream), they are fast becoming the official dessert of the summer. Our favorite part? These are just about the easiest dessert recipes you could ask for. Some fruit, some booze, and a Dixie cup — and you’ve got yourself a party. A really good party. The kind of party where your friends will spend the next six months asking when you’re going to have another awesome party with the popsicles. P.S. Can you make them for their birthday next weekend, please? 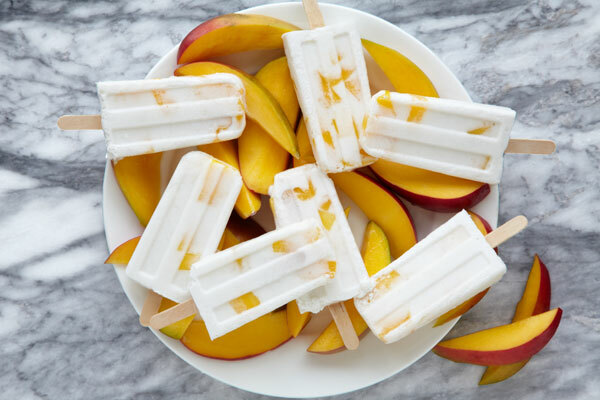 Here are our three favorite boozy popsicle recipes absolutely perfect for an impromptu Fourth of July gathering or just a hot summer night when all you need is a sweet treat and a cold drink. Bottoms up, and bon appétit!